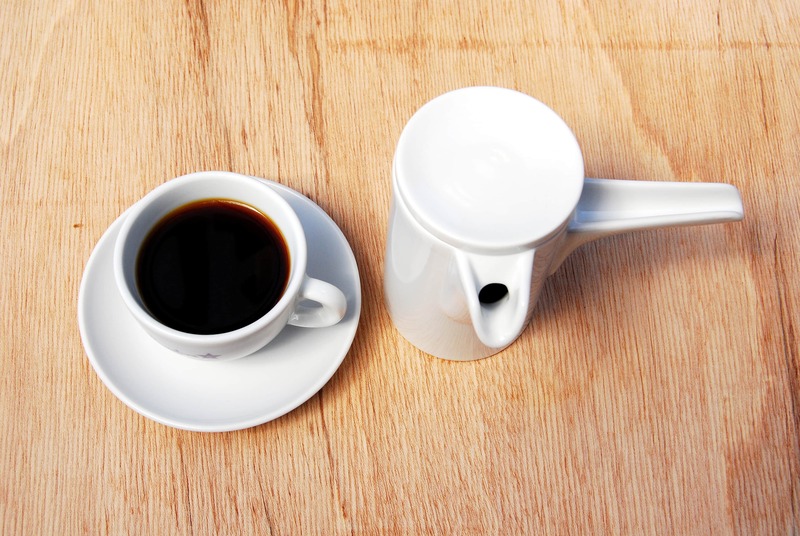 The Karlsbad coffee maker – a so-called drip coffee pot – has its origins in 18th century France. It was refined 100 years ago in Karlsbad, Czechoslovakia. 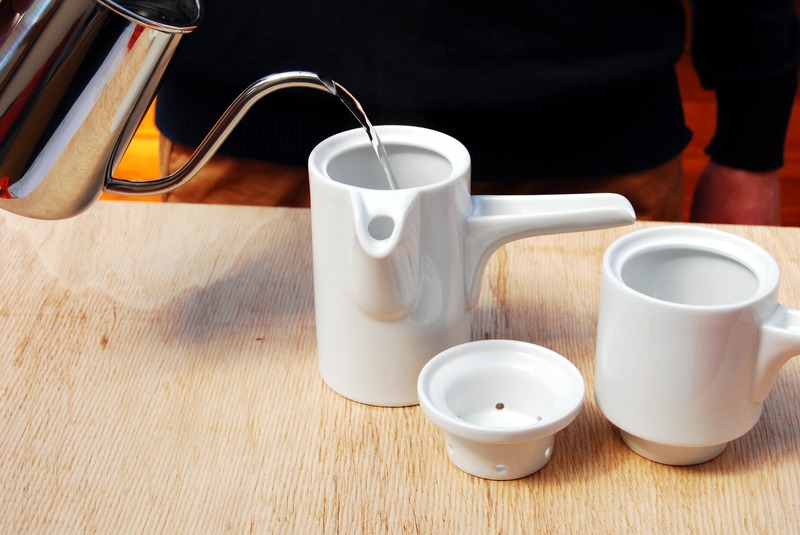 As opposed to other drip coffee pots, the Karlsbad coffee maker is made almost entirely out of porcelain and does not need paper filters. 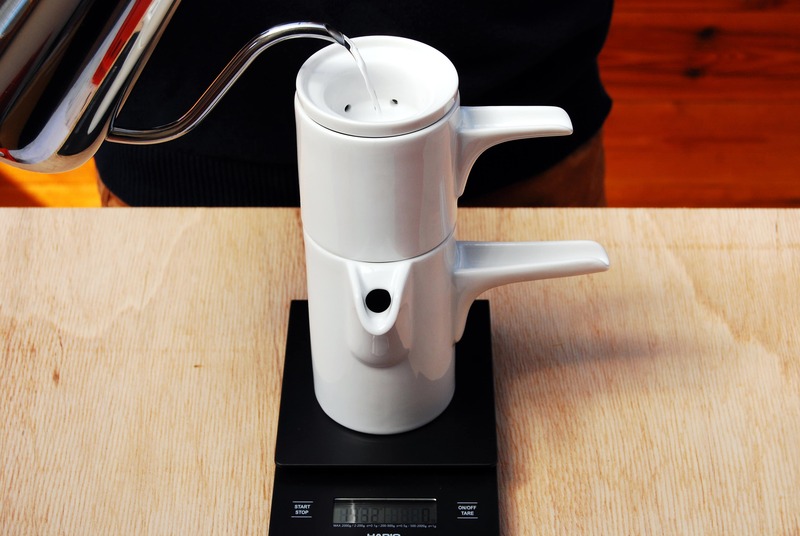 The Karlsbad coffee maker unlocks coffee’s potential. 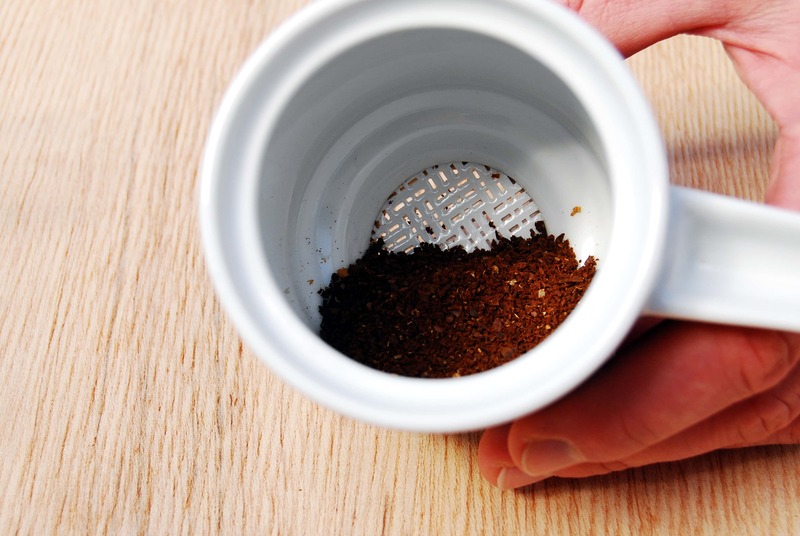 It creates a complex coffee, without any foreign flavors – from paper coffee filters, for example. The photo shows a more modern “Bayreuth coffee maker”, which works according to the same brewing principle. Only the design has changed. We recommend this preparation method for the following of our coffees: Pintail, Funky, Fire Finch, Sunbird and Steller’s Jay. Pre-heat the Karlsbad coffee maker with some hot water. For 200 ml of water fill 11 g of ground coffee in the pot with the porcelain sieve. Grind should be pretty coarse. 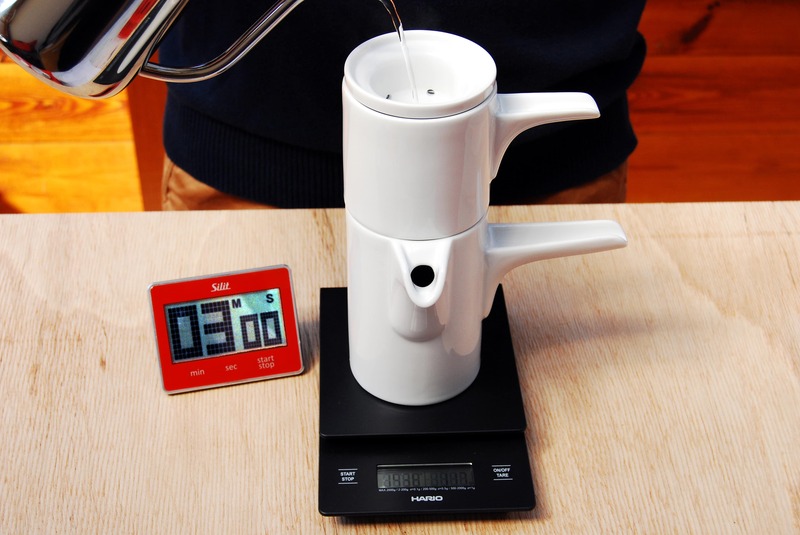 First pour in about 50 ml of water (93–97°C) into the water dispenser and allow the coffee to “bloom” for 30 seconds. Now slowly add the remaining water. The water should have run through the filter in three minutes.